The doors to military aircraft spanning a history of more than eight decades will be opened up to visitors at the Royal Air Force Museum Cosford next month during a special two night event. Aviation fans will be able to view inside a total of fifteen aircraft, with everything from Cold War mainstays to unique prototype jets that pioneered the way for many of the world’s most iconic defense aircraft. Taking place on 16-17 September, just 300 tickets per evening are available for those who want to make their visit to the museum extra special. 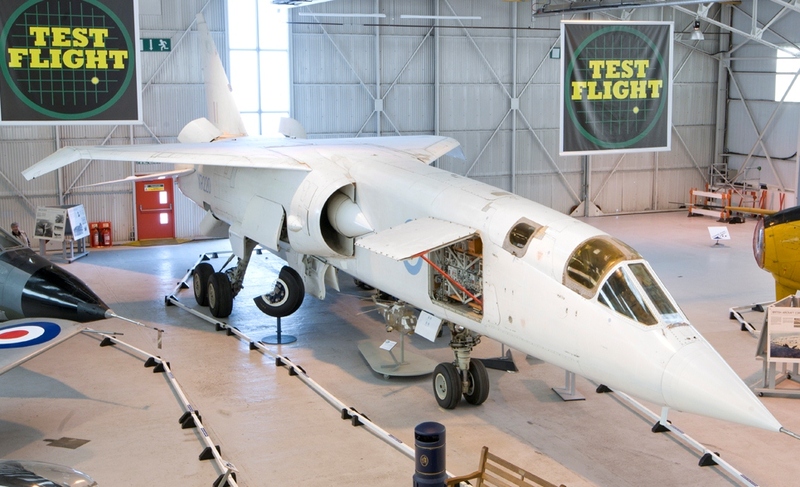 Visitors can marvel at the advanced technologies on unique airframes including the TSR2, one of the most exciting and controversial British combat aircraft designs of the 1960s. Despite its outstanding technical success, political opposition led to the project being cancelled in April 1965 and the TSR2 is still a subject of great debate to this day. 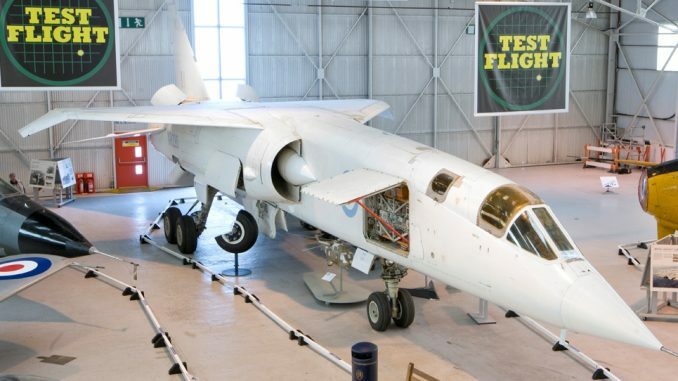 Arguably the most popular and advanced aircraft of its time, the TSR2 is still a popular favourite with aviation fans and is sure to be a highlight on the night. The Fairey Delta 2 (FD2), one of only two ever built will also be opened up to ticket holders. Designed during the late 1940s in a bid to retrieve Britain from trailing in supersonic aircraft design, the FD2 later went on to break the World Air Speed Record in 1956 reaching 1132mph, breaking the record set only the year before by over 300mph. One of its unique features was the aircrafts ability to tilt the cockpit and nose section down by ten degrees in order to improve the pilot’s forward view during landing, taxiing and take-off. Visitors can learn more about its capabilities by speaking with staff and volunteers on the night, ensuring they get the most out of their visit. Over in the museum’s National Cold War Exhibition a collection of aircraft that were the backbone to the west’s successes during the Cold War period will also be available. Aviation fans will be able to take a seat inside the cockpit of the sturdily built nuclear-capable Blackburn Buccaneer S1 nose section flown by the Royal Navy and the United States Air Force’s General Dynamics F-111, a combat aircraft capable of altering its wing configuration in flight to adjust the aerodynamic properties. Plus, the giant Short Brothers Belfast used by the RAF for almost twenty years, capable of carrying 150 fully-equipped troops or two Wessex helicopters will be opened exclusively for ‘Open Cockpits Evening’. During the event, ticket holders will also have exclusive after-hours access to the museum which displays a collection of over 75 aircraft, military vehicles, engines and aviation artefacts within three wartime hangars and the National Cold War Exhibition. Other aircraft available on the night include: Hawker Siddeley Andover, Avro Anson C.19, Scottish Aviation Bulldog T Mk1, Hunting Percival Pembroke C1, SEPECAT Jaguar ACT Demonstrator, Saunders-Roe SR53, Hunting H126, McDonnell Douglas Phantom FG.1, Hawker Hunter F.4 and the Scottish Aviation Twin Pioneer. This mix of aircraft means there is something to suit the interests of all enthusiasts and young aviators alike. Tickets are now available to purchase through the museum’s website www.rafmuseum.org/cosford and cost £12.50 per person which includes parking (minimum height restrictions of 1.07 metres will apply). A full list of aircraft available on the night is also available online. The Museum will close at 5.00pm both days, however the Visitor Centre and Refuel Restaurant will remain open prior to the event which commences at 6.00pm and finishes at 9.00pm.